Every year I eagerly await the holiday season and holiday spice teas. 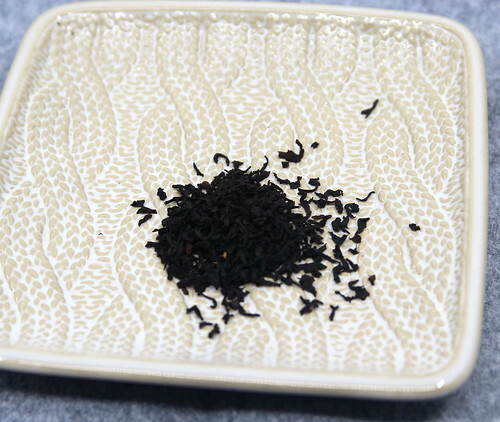 This year I placed a small order with Adagio Teas for some samples. One of those is Gingerbread. 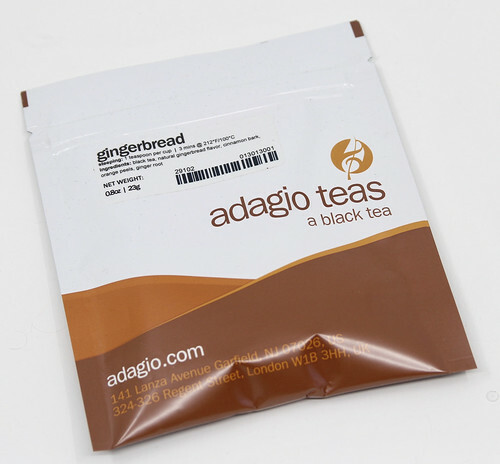 Adagio’s Gingerbread blend includes black tea, gingerbread flavor, cinnamon bark, orange peel and ginger root. Gingerbread is available in a variety of sizes: sample for $2.00, 3oz for $7.00, and 16oz for $24.00. When I first opened the package I got the strong smell of molasses and gingerbread. Once brewed it was a little milder, but I got hints of the gingerbread and the orange. I really enjoyed this one and it would be amazing with ginger snaps. I’ve never made them, but maybe it’s time to learn. Previous Episode 162: Opal Advent Knitting.